With the introduction of “Season of The Drifter”, Destiny 2 has a lot of new things to offer to its fan base. Many new collectible missions have been added with the new update. As part of Allegiance quest, you’ll be assigned to find seven hidden Tapes that the Drifter has placed near EDZ in the stage called “Hidden Messages”. Destiny 2 does not provide any hints to where you’ll find these tapes. You know what this means right! You are on your own and this quest can take quite a lot of time to get sorted out. And it can be extremely difficult if you don’t know their exact location already. To help you out in this matter, we have gathered some useful information that will pin point the exact location of these hidden tapes and save your previous time. Before you go out and start looking for hidden tapes, you should reach the point where the game demands you to choose sides between the Drifter and the Vanguard in Hidden Messages quest. Another thing to note is that this quest will still receive some more updates throughout Season of The Drifter. As mentioned above, there are a total of seven tapes that are hidden around EDZ. Destiny does not give any clue about these tapes that’s why we are here. We will point you in the right direction. Although you won’t get clear clues from the game still whenever you’ll reach near a clue, your Ghost will make a sound and you’ll be able to spot a special icon on the top right corner of your screen. First tip for you is that hold on to your Ghost while approaching the spot, it will help you find the tape faster. We have gathered all the information needed to collect these tapes. This information will take you to every tape easily. This tape can be found near Trosland Fast Travel marker. When you get near the marker, turn to your left and get inside the building. Pass through the reception desk and you’ll find a door at your right side. Use the computer in the dark room to scan and extract the message. Similar to Tape 1, Tape 2 is also present near a fast travel point. You might have heard of “Winding Cover”. Simply travel to this location and you’ll be able to spot an electronic machine with an antenna on top of rocks. Message can be withdrawn by scanning it. 3rd Tape can be found in the Excavation Site XII Lost Sector, which is near Firebase Hades. Make your way to the boss area in the sector. Find the computer closest to the door at the back. It will contain your desired message. Next hidden message can be found on a computer. You’ll find this tape at Sojourner’s Camp. For players who do not know the exact location of Sojourner’s Camp, it is located on the South of EDZ on the road to Bergusia Forge. If you start your trip from Trostland, take the left road from the city that will take you through the overpass and the tunnel. Keep going until you can see a space filled with Fallen. This abandoned location is Sojourner’s Camp. At the right side of the Camp, inside a tent, there is a computer that holds your required message. Flooded Chasm is not hard to find at all. This hidden message tape can be found near Flooded Chasm Lost Sector. You can travel to this location using The Gulch. The tape can be found in the first large room of the Lost Sector. Another symbol of the tape location is that it is located in blue force fields. The tape can be extracted from a computer placed next to the Cabal drop pod and has a large antenna pointing from its top. Skydock is present in another one of those lost sectors. Hidden Messages tape 6 can be found in Sunken Isles’ Skydock IV Lost Sector. To get this tape, you must fight through enemies that will come in your way. Reach the boss room and scan the orange computer located right in the center of the room. You’ll get your desired tape. 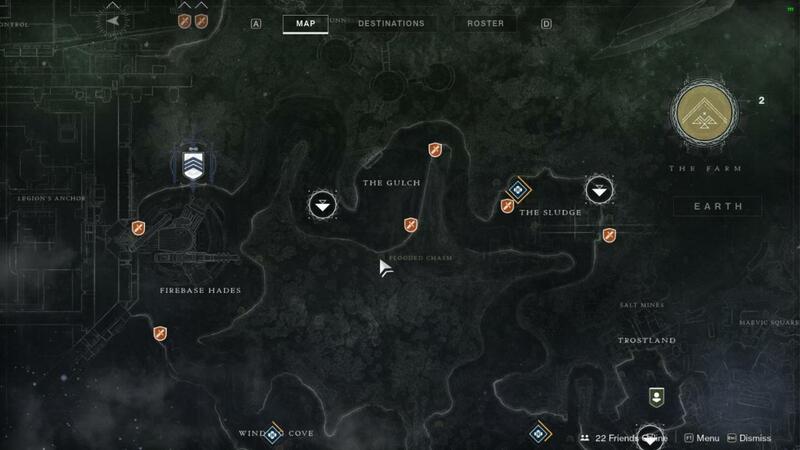 Last tape can be found in Scavenger’s Den Lost Sector which can accessed through the Outskirts. The tape is present in a fallen computer system placed near a purple box. That was all for the Hidden Messages tape guide. We hope that our guide will help you to collect all the hidden tapes in Destiny 2: Season of the Drifter.